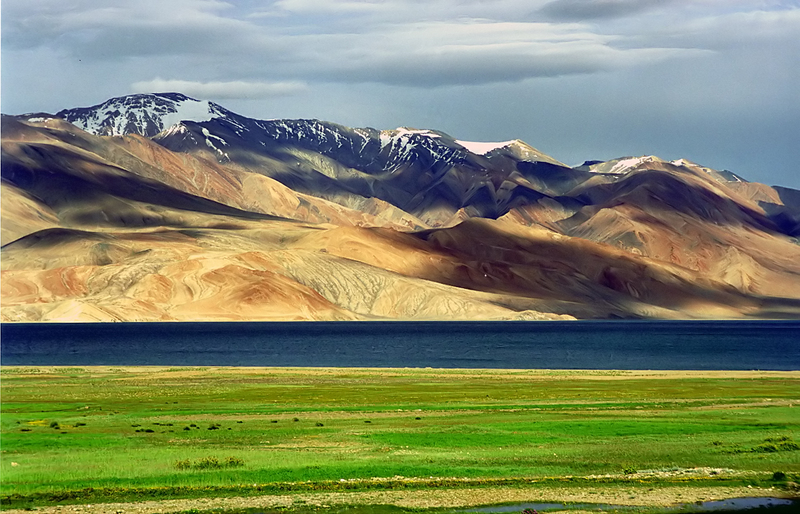 Ladakh is a mystical land indeed. The cold and rugged terrain is juxtaposed against the warmth and vibrancy of its culture. While the mountains seem unapproachable, the people are contrastingly amicable. To celebrate the varied shades of this region, Ladakh hosts the annual Ladakh Festival and welcomes audience from all across the world to come and experience the place in its true essence. 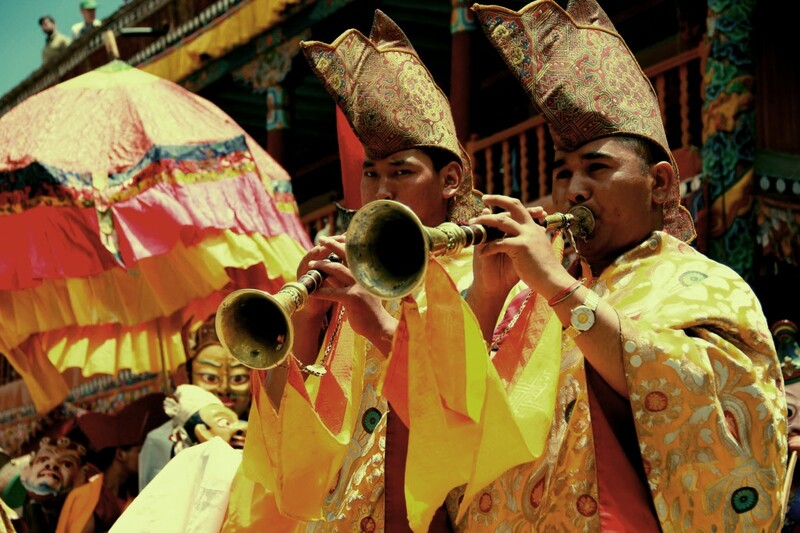 An extravaganza of arts, sports, and local traditions, the Ladakh Festival is held in autumn. This year you can catch the event between September 25- 28. You can book a cab from Srinagar and take part in the proceedings. The four-day gala is organized by the Jammu & Kashmir Tourism Department, in association with local communities and organizers and is celebrated all across the region. The purpose of the festival is to reinstate Ladakh’s deep-rooted culture and heritage and afford tourists and outsiders the opportunity to participate in this culture and become a part of the community. Travelers from far and wide come to witness and participate in traditional music, dance performances, art and craft exhibitions, archery contests, Polo games, and delectable cuisines from the surrounding villages of Ladakh. The festival opens in Leh with a long procession. Villagers, school children, and local dance troupes perform to traditional music across the major thoroughfares in town. As the young and old sway in their vibrant costumes and colorful masks, the roads take up a carnivalesque appearance. You will find tourists and travelers stop by to take photographs and capture the festivity. The opening ceremony continues with the cultural programs from early morning through the day. Day 2 & 3: Art, Culture, Sports, Music and…..more music! 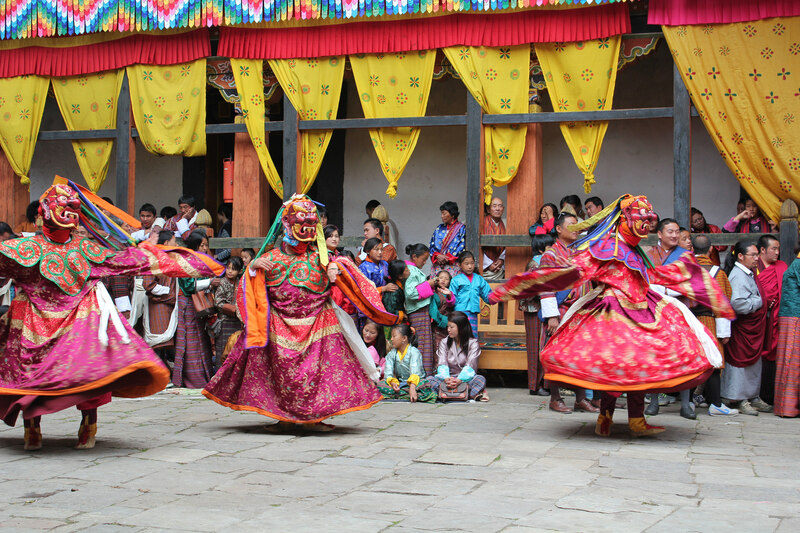 The next day, the festival opens with the Cham or the mask dance. Participants are dressed in creatively designed masks representing local mythological characters and dance to the tune of traditional instruments. This is followed by the inauguration of Thanka Exhibition by various artists. In the afternoon, both renowned and aspiring local artists and artisans gather to display their craftsmanship at the Art & Craft Exhibition. If you love to shop for collectibles and handcrafted trinkets, then this exhibition is your paradise. Choose from a huge display of clothes, artworks, silverware, jewelry, precious stones, paintings, and more. The art exhibits are accompanied by yet another vast array of scrumptious local food and food products like the locally made barley beer called Chang. 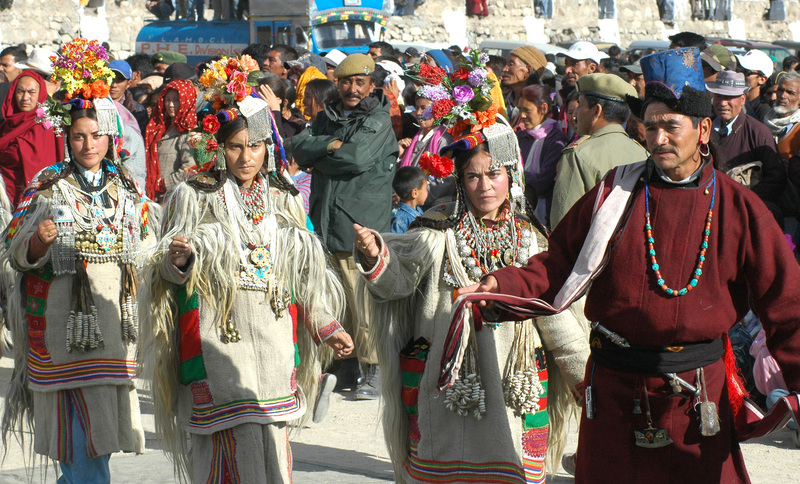 A popular haunt at the Ladakh Festival, the art and food fairs become the most sought-after attractions of the event. On the second day, you can also see the inauguration of the archery competition held at the sports stadium in Skara near Leh town. The competition is open for participation for the entire day and closes the next day at the same time. This is followed by the opening of the polo games at the Leh Polo grounds. The games continue till the next day afternoon and make for an interesting watch. Music concerts are held on the evenings of the second and third day. These are definitely one of the biggest draws in the festival. Renowned musicians, singers, indie-artists, and others, gather from different parts of the country and the world to make you groove to their tunes. As they rock the stage, the hills and valleys of Ladakh come alive with the sounds of music! After four long days, the gala comes to an end with a grand closing ceremony. 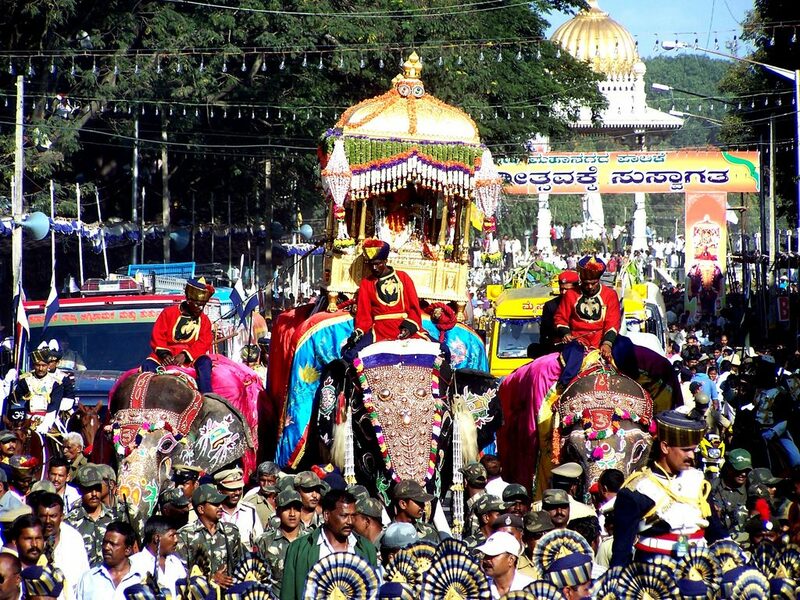 As the event draws the curtains, the town bids adieu to its visitors with the hope of yet another year of colour, festivities and celebrations. Travellers from the National Capital can rent a cab from Delhi and kick back and soak in the gradually changing vistas. 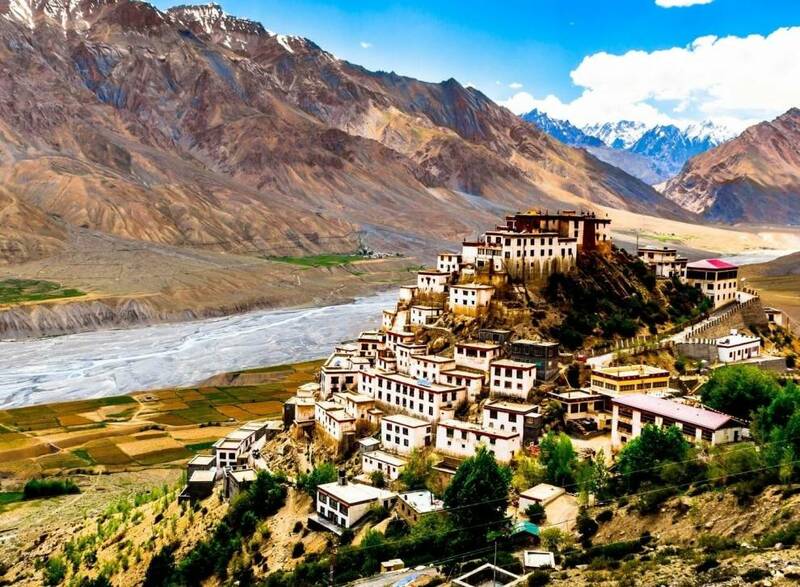 Ladakh Festival is an extravaganza of arts, crafts, music, sports, and local traditions. It is held annually in Autumn and celebrated with great zeal.